Ben's Journal: But will it cold soak?! As I prepared for our Conway River / Bearfence Loop backpacking trip I seriously considered going stoveless. In my mind's eye, leaving the stove and other cooking gear at home had a number of advantages: a lighter pack, meals that were easier to prepare and cleanup, less hassle in the sweltering heat of Shenandoah, and yes, a chance to try a fad to see if it was worth the hype. Also, I figured it would be easy enough to toss in some tea bags and hot chocolate and heat water up over the fire, should the opportunity present itself. From my research, I learned I had two basic food prep options when going stoveless. First, depend on food that was normally eaten without cooking. Peanut butter, tuna, hummus, etc. were all staples on the trail and need not change if I went stoveless. And second, make use of cold soaking. Cold soaking is exactly what it sounds like: you take the food that you'd normally re-hydrate in boiling water but do so in cold water. The obvious catch was that the process is supposed to be much slower. In theory, with a little planning, this problem can be mitigated. 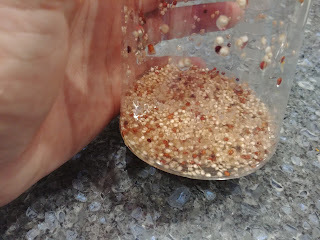 Rather than making your Ramen noodles essentially on demand, you need to remember to start soaking them 30 minutes before you want to dive in. As we got closer to our trip, it hit me: I should really try this cold soaking technique before I hit the trail. And so, in the comfort of my home and kitchen, I ran a battery of tests to see just how palatable cold soaked food could be. Before I dive into specifics, I will say this was interesting exercise. I will say, if I were exhausted enough, all of the food I tried was edible. Also, I could see where bringing stuff to mix in: Bacos, hot sauce, honey, etc. would be really key. It's worth noting that my tests were about consistency, not about flavor. That was by design, assuming that flavor could always be added after the fact. 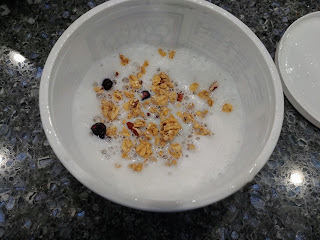 Granola and powdered milk - this wasn't really a cold soaking thing, but I had never experimented with using powdered milk before. Surprise, surprise, it tastes just like milk. This is an obvious win. 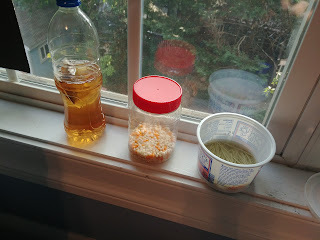 Tea - I suppose I could get fancy and call it Sun Tea. Regardless, black tea in a water bottle left on the window ledge was fine to drink. Again, not a huge surprise here. 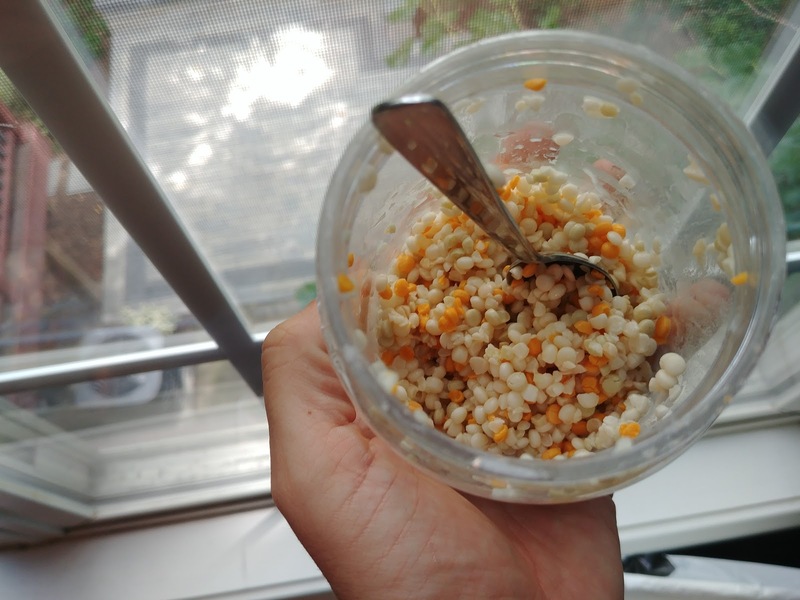 Pearled Couscous - This stuff was my big discovery, and a big win. I found that after a few hours of soaking, the couscous was nicely re-hydrated and quite edible. I tried this not only plain, but also soaked with almonds and raisins. The result was a dish that was actually good. 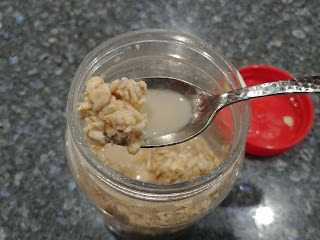 Oatmeal - cold soaking oatmeal is already a thing, so it's not a big surprise that it would work well. Still, it was good to confirm that I could enjoy the taste of the stuff. 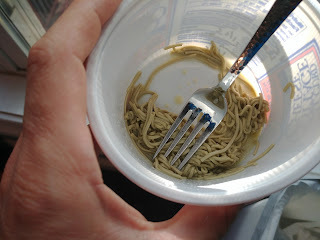 Green Tea Noodles - these claim to cook quickly, so I thought they'd be worth trying. Alas, after 30 minutes, I had a nasty, goopy mess in a bowl. No thank you. Sprouted Quinoa - after a few hours of soaking, this was a bitter, blah, tasting food. No thank you. Barley - after hours of soaking it was still tasteless and not worth my time. The bottom line is that cold soaking isn't some magical process. A few things do well in it, plenty of stuff doesn't. Definitely experiment before you drink the Kool Aide, if you will. As we got closer to our trip, the weather made it clear that this would be anything but a 'sweltering' trip in Shenandoah. In fact, I found myself packing my puffy down jacket and glad I had it while on the trail. Given these conditions, I scrapped the stoveless idea and was glad I did. This turned out to be one trip where hot food was truly appreciated. Still, summer's in DC are often crazy hot, so having some intel on how I can backpack minus the stove is a win in my book. If nothing else, hopefully this will give you some inspiration and caution about your own stoveless adventures.